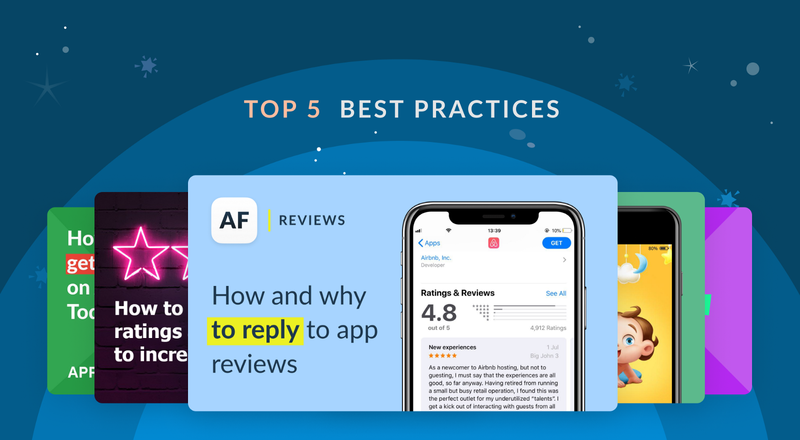 Highlights of the year: how to promote your app or mobile game; what tools to use in 2019; best practices to help you boost your app’s conversion and retention rates, and more. Receive your user reviews as helpdesk tickets, reply immediately, and get a higher conversion rate and happier customers. Integrate your favorite helpdesk software with AppFollow and benefit from the advantages of both of them. Zendesk, Helpshift, Help Scout, Microsoft Teams, and 20 more systems are ready to deliver users’ feedback from the App Store, Google Play, Microsoft Store, Mac App Store and Amazon. Track featured apps and games wherever you like: in Slack, Discord, email, your AppFollow dashboard, or via the AppFollow Featured Page. Use the full power of this feature — discover every app’s reference in 2018; we’ve stored the historic data since January ’18. And, most important of all, find out when your app gets into Today’s list the day before it happens — so you have plenty of time to prepare and get the most out of it. Update your ASO strategy in response to big changes in the App Store and Google Play. The new ASO tools show search results and positions exactly as your users see them in iOS 12, including cards of the day, bundles, and in-app purchases. Choose keywords according to their popularity and Search Ads competitors. And don’t forget to pick up other relevant search requests and have a sneak peek at your competitors’ keywords. Study your users in detail. Review Analysis will help you to detect where your users come from, who they are, what app versions they liked the most, and what impact your answers have on their mood and rates. Semantic Analysis will tell you about your users’ problems, their wishes and challenges, and how they describe your product. 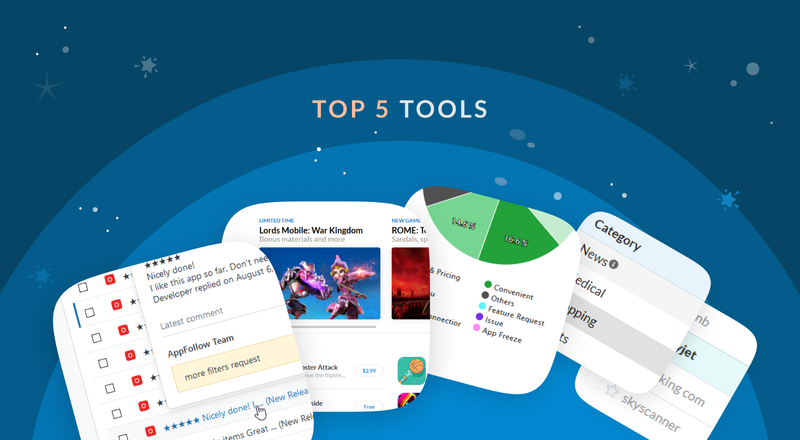 You can analyse any app or game from any app store — reveal your competitors’ weaknesses in a couple of clicks. Invest in the right traffic channel and monitor changes in all categories in the App Store and Google Play. Conversion Benchmark provides the essential insights required to discover a user acquisition channel and app category that will help your app stand out. 1. Why you should reply to reviews in App Store and Google Play. How to start working with reviews for the first time; how to restart if your previous efforts didn’t work; and what impact your replies have on the conversion and user retention rates. 2. How to get featured on the App Store Today tab. How Apple chooses apps and games for getting featured; how to become one of them; and how to gear up properly without ruining your rating and conversion rate. 3. How to work with ratings and reviews to increase your conversion rate. How to make users rate your app, and how to work with this feedback afterwards — best practice from the Hotellook app. 4. ASO Guide for beginners. How to launch your app in the App Store flawlessly; how to create a successful ASO strategy even if you haven’t done it before. Reveal the ASO tactics of Wachanga Babycare app, which got into Top Listing in Korea, Turkey, Spain, and Russia within the first 3 months of the launch. 5. 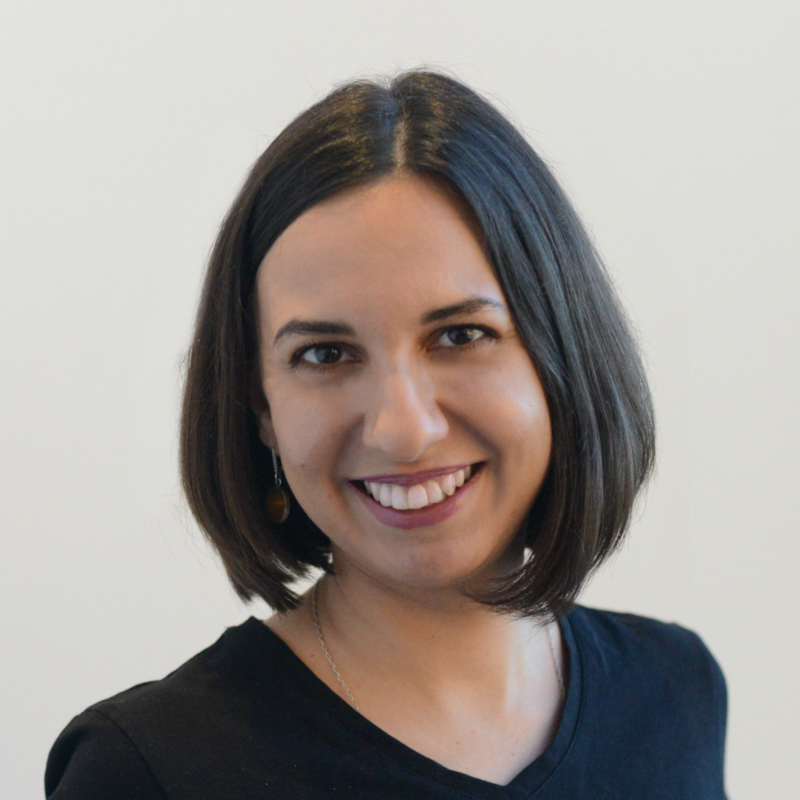 ASO Audit: Six steps to improve your conversion rate. Refresh your ASO in 2019, keep up with the latest App Store and Google Play updates, and follow our ASO experts’ tips to help you improve your app’s positions this year. During the summer and Christmas seasons the Travel and Navigation categories exhibited a sudden growth. 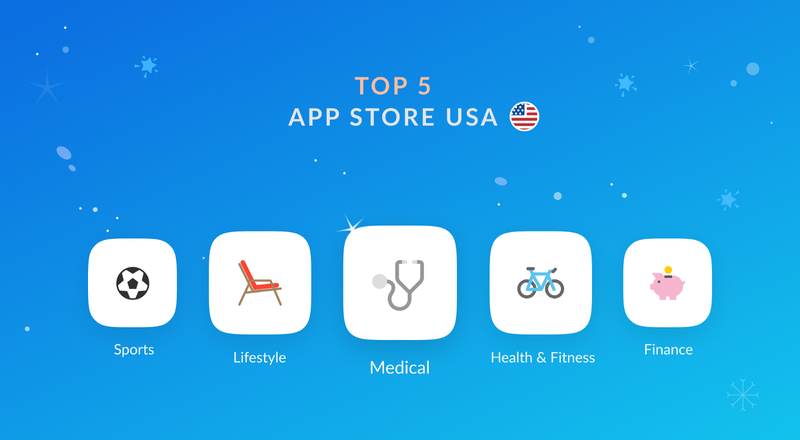 The highest conversion rate from App Store Search had a Health & Fitness category. (May 2018: 12.3%). Discover more conversion rate and categories changes with AppFollow Benchmark. 2018 was an extraordinary year for us. 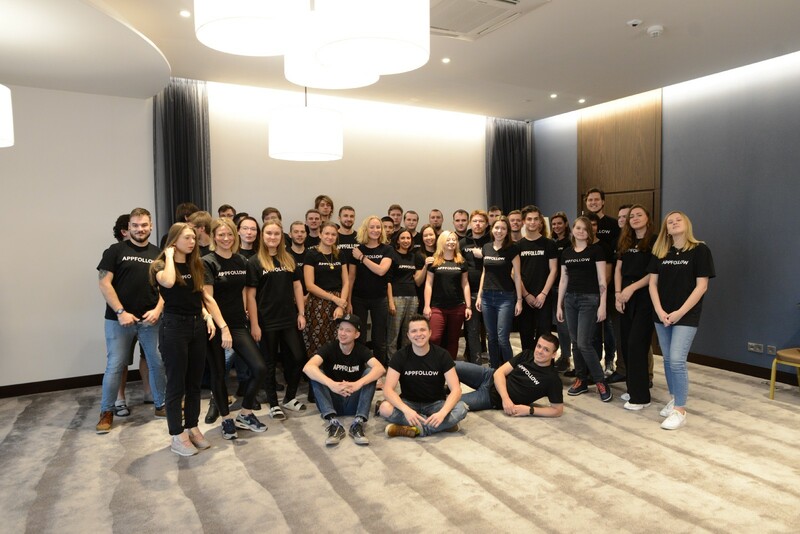 We picked up speed for faster growth, so that by the end of the year our team, customers and overall positions had grown threefold. We also got funding from two new Venture Capital funds — Vendep Capital and RTP — and opened a new office in Helsinki city center. 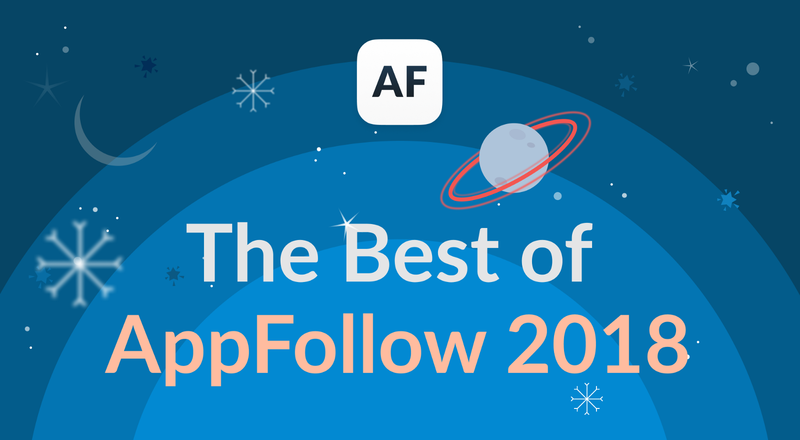 All of these allowed us to release some new awesome AppFollow features and improve the current ones. We truly hope you’ve enjoyed them as much as we have. Try all excellent AppFollow features. To help you discover them all we’ve launched a New Year guide. Stay tuned, 2019 will bring even more fascinating stuff.